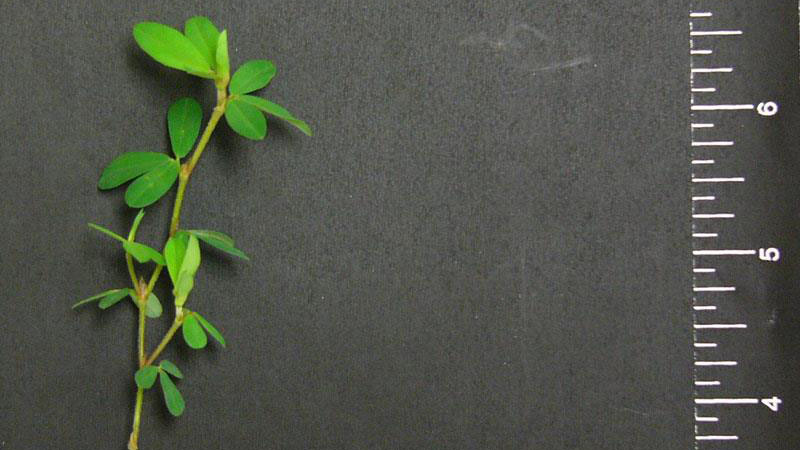 Lespedeza is a dark green, wiry summer annual with trifoliate leaves. Several wide-spreading prostrate branches come from the slender taproot. 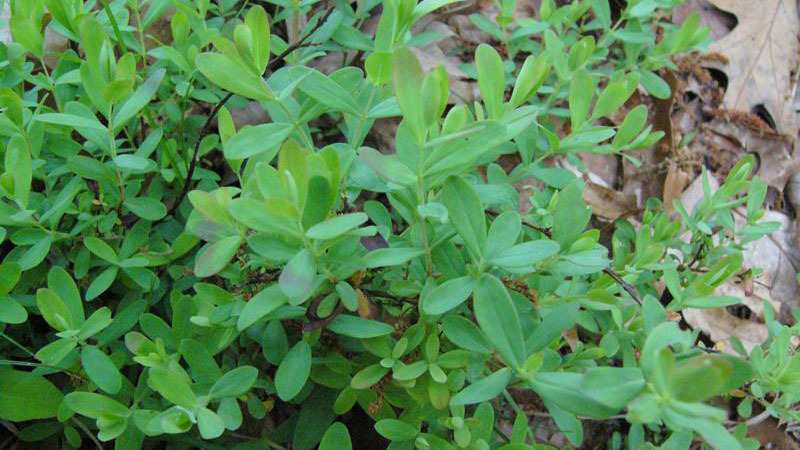 It grows close to the ground and seldom is cut by a mower. It is a very common summer weed, choking out thin turf. Hairs grow downward on the stem. 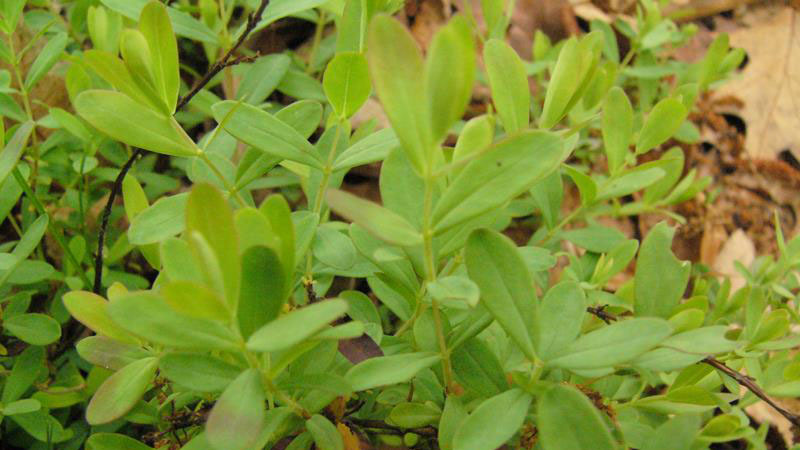 Leaves are composed of three leaflets. Stipules are light to reddish brown. Small single flowers arise from the leaf axils on most of the nodes of the main stems and are pink or purple. Figure 1. Common lespedeza growth habit. Figure 2. Common lespedeza growth habit. Figure 3. 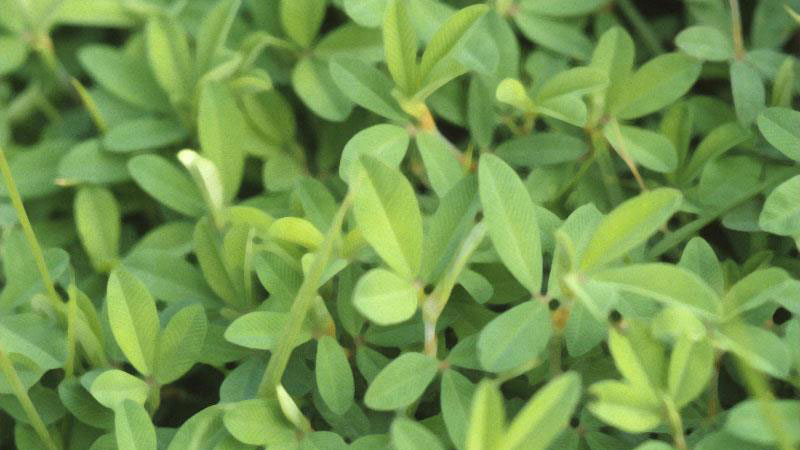 Common lespedeza leaflet number. Figure 4. Common lespedeza leaflet number. Figure 5. Common lespedeza leaflet number. Figure 6. 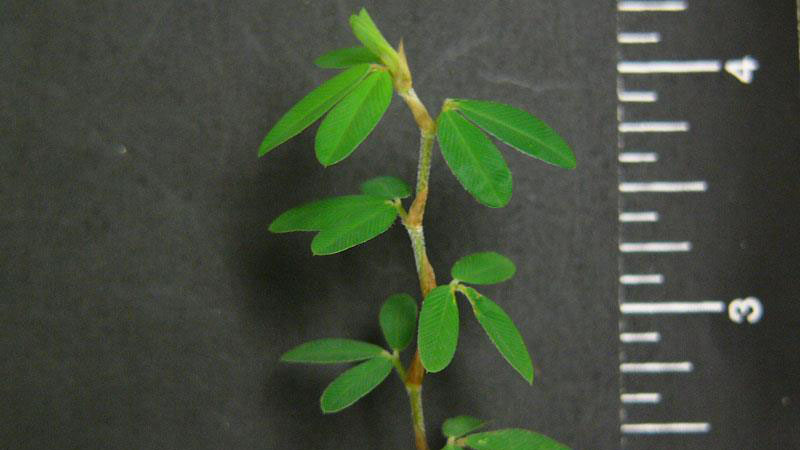 Common lespedeza leaflet shape. Figure 7. 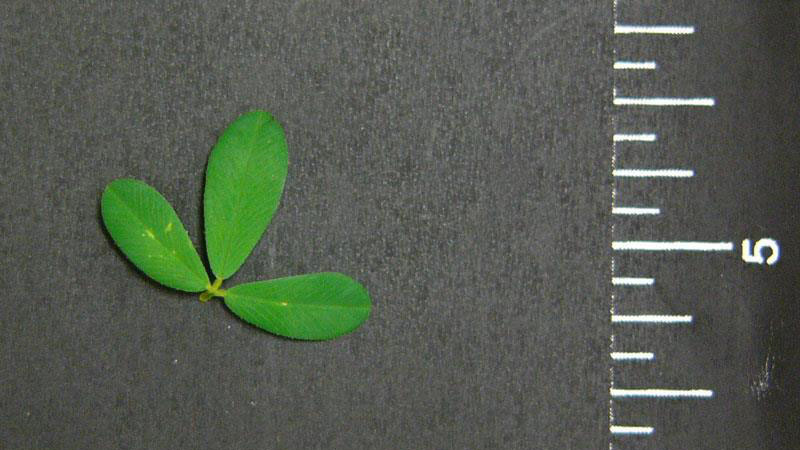 Common lespedeza leaflet shape. Figure 8. 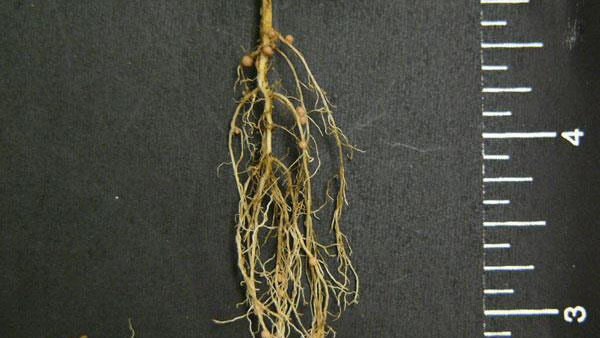 Common lespedeza root type. Figure 9. 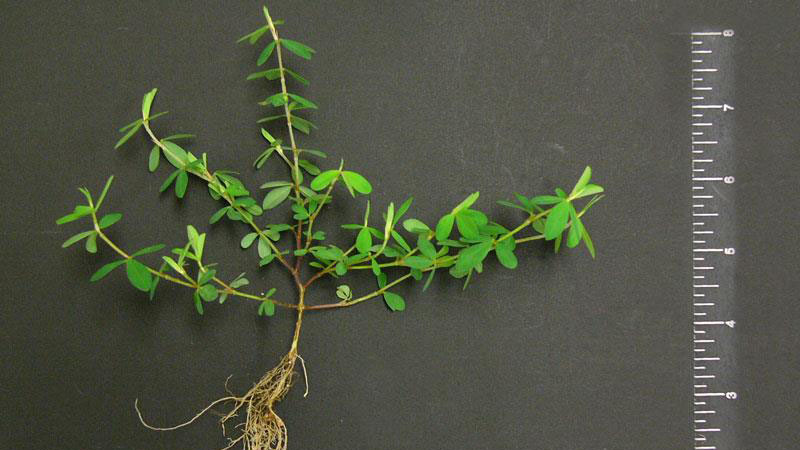 Common lespedeza root type. Figure 10. 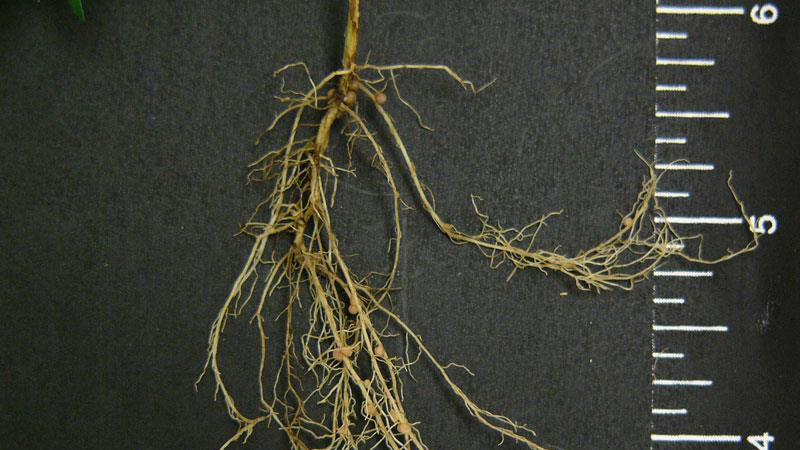 Common lespedeza root type. Figure 11. 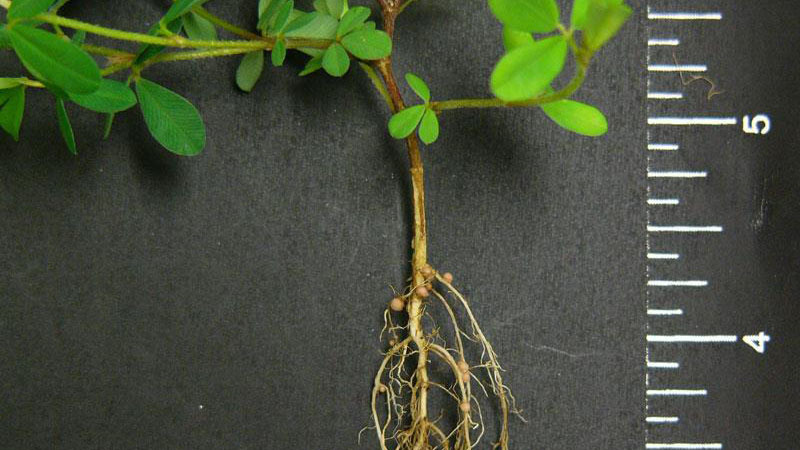 Common lespedeza root type.